One of my favorite times in New York City is cherry blossom season! They seem to be blooming a little late this year because of the cold weather but this past weekend it was so nice out and the trees were finally in bloom! Something I always recommend to anyone this time of year is a visit to the Brooklyn Botanic Garden to see the cherry blossoms. It's absolutely gorgeous and I could spend hours there. I'm also a total nerd and track the status of the cherry blossoms each year. I'm planning on heading over there this weekend to see them in all their glory. 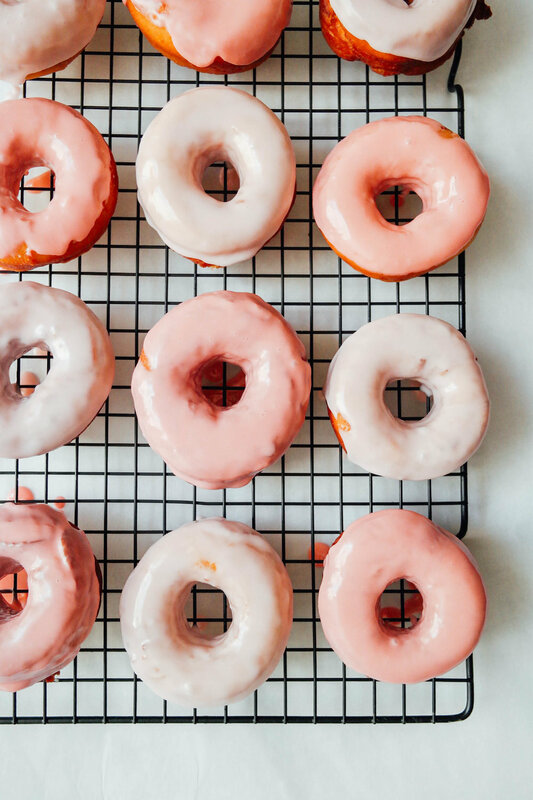 The cherry blossom trees inspired me to make these doughnuts last week! They aren't technically cherry blossom in flavor, so I decorated them in a "blossomy way". haha. Making these made my apartment smell like a carnival, but they were so good it was worth it. Carefully add the doughnuts to the oil, a few at a time. If they’re too delicate to pick up with your fingers (they may be this way only if you rose them in the oven), use a metal spatula to pick them up and slide them into the oil. It’s O.K. if they deflate a bit; they’ll puff back up as they fry. When the bottoms are deep golden, after 45 seconds to a minute, use a slotted spoon to flip; cook until they’re deep golden all over. Doughnut holes cook faster. 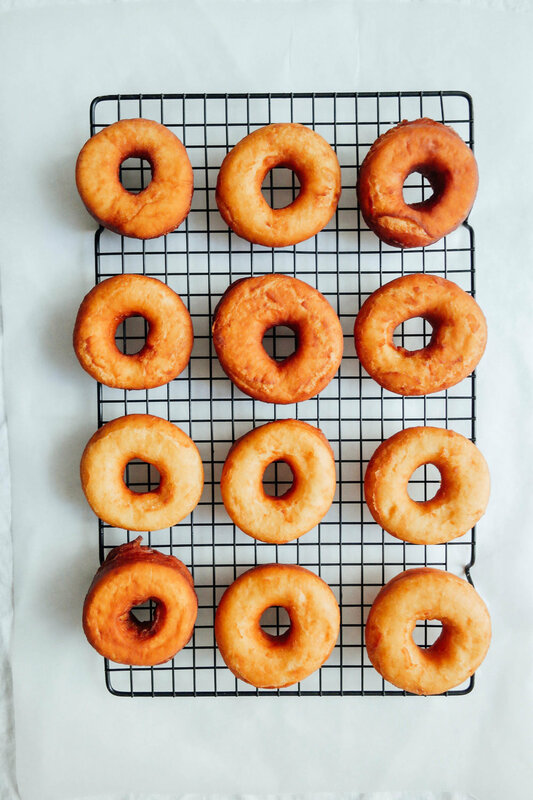 Transfer the doughnuts to the prepared plates or racks, and repeat with the rest of the dough, adjusting the heat as needed to keep the oil at 375. Glaze or fill as follows, and serve as soon as possible. 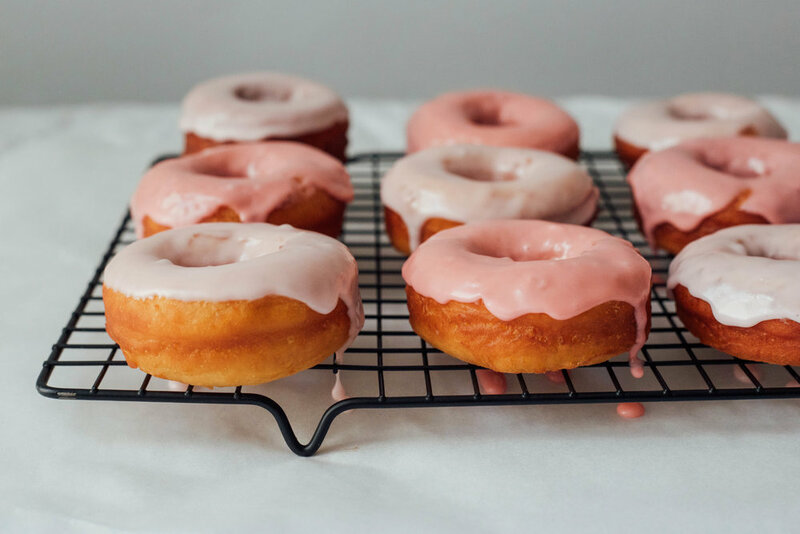 To glaze with "cherry blossom" effect, mix confectioners sugar with milk until smooth. Split into various bowls and add different amounts of pink food coloring to each. 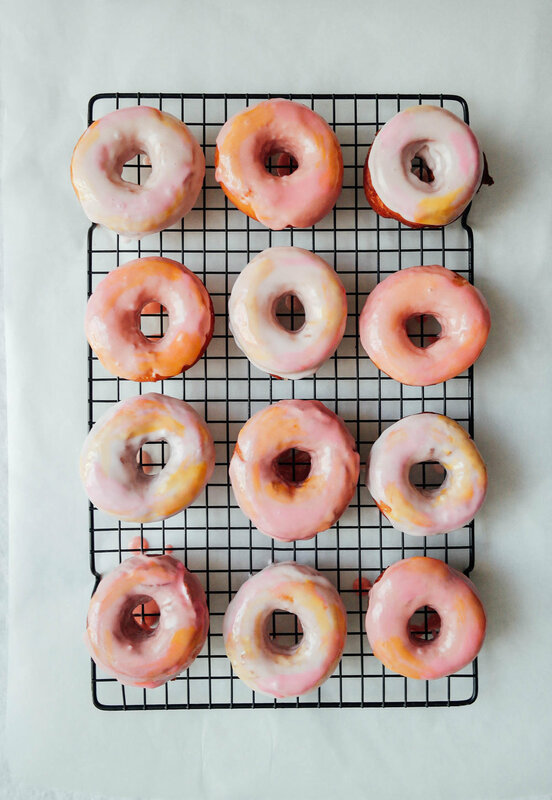 Glaze each with a light pink base, and once that layer has dried, lightly brush on other colors with a pastry brush.